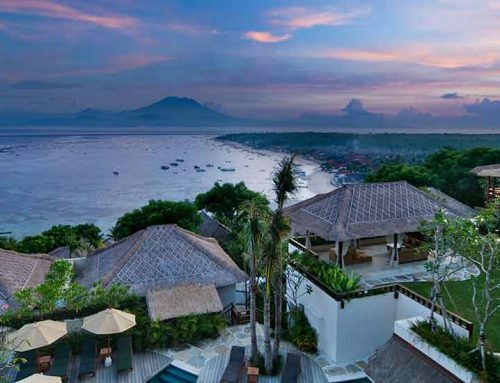 The Oberoi Lombok is situated in the gorgeous Medana Bay, having panoramic views of the ocean and Bali’s volcanic Mount Agung. 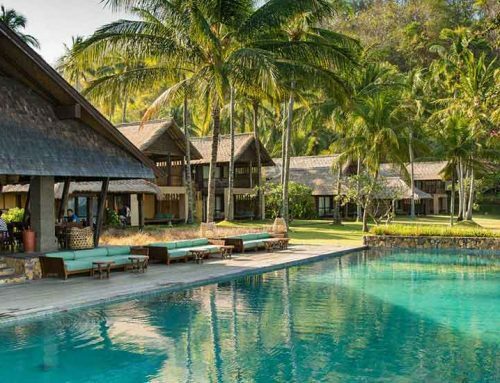 This luxurious resort located in the secluded northwest coast of Lombok, spans over 24 acres of beautifully landscaped gardens, towering indigenous trees and colourful bougainvillea. The Oberoi has its own private white sand beach, large infinity outdoor pool, 2 restaurants, full service spa, a gymnasium, a tennis court and a croquet lawn. 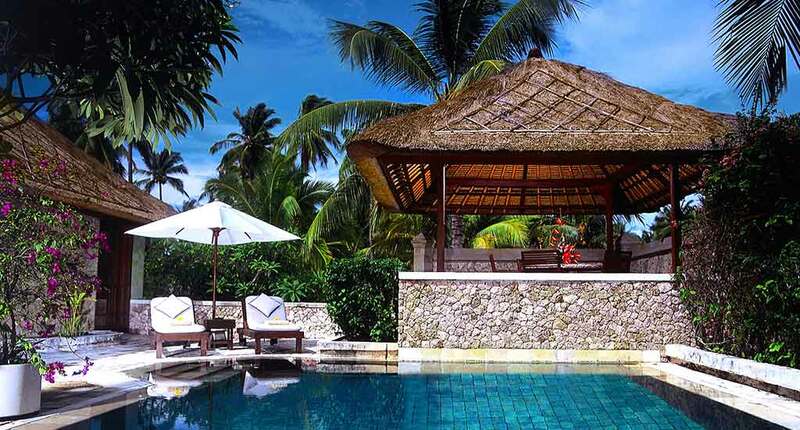 The resort has 30 pavilions and 20 villas built out of coralline rock with traditional Balinese style pitched thatched roofs, that have either garden or ocean views. 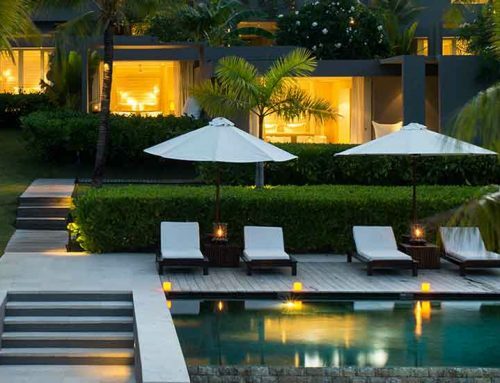 The spacious villas have walled courtyards, some having their own private swimming pools, which feature an elevated dining pavilion that has views of the sea. All rooms feature state-of-the-art music systems, satellite television, complimentary high speed Internet access, air conditioning and 24- hour room service. Pavilions and villas are decorated with traditional fabrics in natural tones in the Balinese style, featuring a large four- poster teak bed as well as several comfortable couches and chairs. The marble bathroom overlooks a private courtyard and was fitted with a marble sunken bath, two separate vanity areas and a walk-in closet that is accessible from both the bathroom and bedroom. ©The OberoiThe Sunbird café, an outdoor venue which overlooks the sea, offers breakfast and light snacks throughout the day. Sunbird café serves a wide selection of breakfast offerings, including tropical fruit platers and the local favourite, the nasi goreng. Lumbung is an elegant al fresco dining restaurant where they serve only the evening meals on tables set along the terrace beside the pool. Here, guests are treated to an extensive selection of Western and Asian options. In the ‘amphitheatre’, one can enjoy fine cuisine accompanied by traditional music and authentic ‘Sasak’ dance performances. The Tokek bar is an excellent place to watch the sunset, serving drinks and snacks throughout the day. The spa has open air, thatched therapy rooms, offering a wide range of massages and treatments, a steam room and a relaxation area. Their qualified therapists are experienced in traditional Balinese, Thai, Western and signature Oberoi therapies. 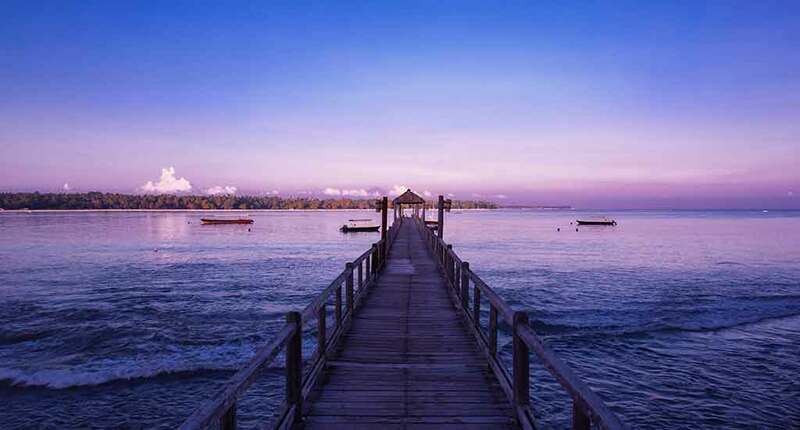 Activities at the Oberoi Lombok include a long list of water sports available at the beach club at the end of the jetty, including snorkelling, diving, windsurfing, sailing and sea kayaking. 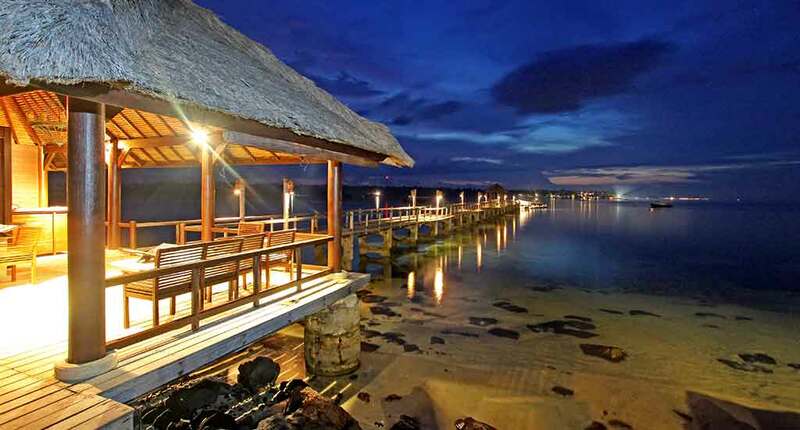 The resort has its own private per and PADI certified Dive Centre. 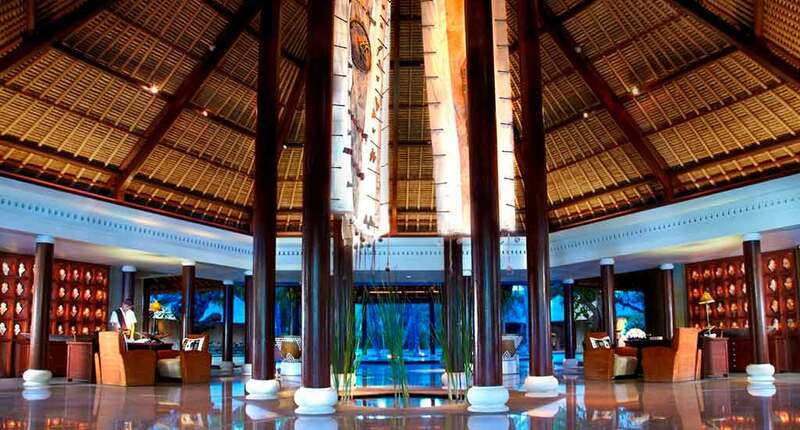 The hotel also provides trips to the neighbouring Gili Islands on their speedboat. The islands are a popular snorkelling spot known for its coral gardens and exotic marine life. 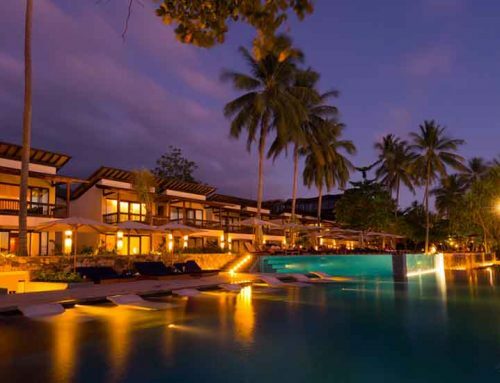 The Oberoi, Lombok is a luxurious family-friendly resort which offers a more low-key alternative to Bali. 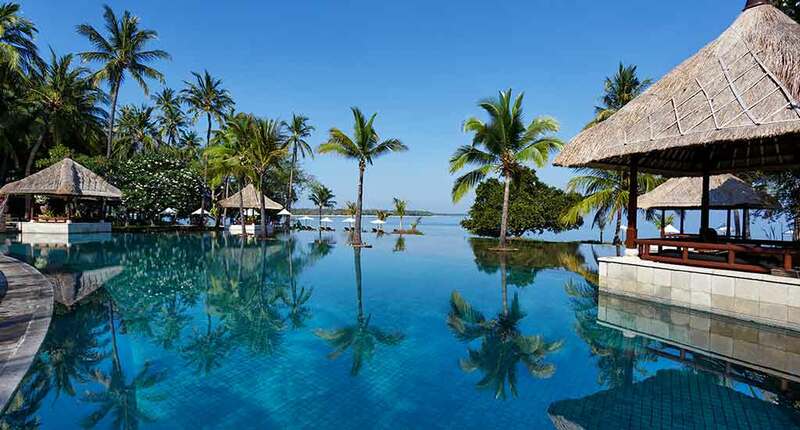 The resort is surrounded by unspoiled natural attractions, from white sandy beaches and waterfalls to coral reefs and volcanoes. Address: Medana Beach, Tanjung, Kabupaten Lombok Utara, Nusa Tenggara Bar. 83352, Indonesia.